To view the Michigan State Respiratory License Application packet, please click here. DRIVE4COPD is a multi-year public health initiative to screen the millions of people who may be at risk for COPD. As many as 24 million Americans have COPD but approximately half do not know it and remain undiagnosed. 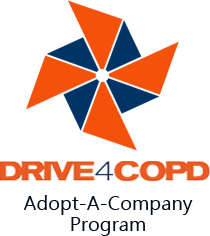 Click here for more information on the DRIVE4COPD Adopt-A-Family Program. The AARC Career Site offers several resources that are great for current Respiratory Care students, including the Career Advice section with resume tips, job bank, etc. Also, the Life & Breath videos available here show an overview of the career, but also have shorter videos on several of the specialties available that may be of interest. This is the same video that is available on DVD through the AARC Store, so you or the school may already have a copy. Please click here to view a list of the current Pulmonary Rehab programs available in Michigan. Pleural Mesothelioma Information - Mesothelioma Guide provides information about treatment options and prognosis outlooks for pleural mesothelioma patients.